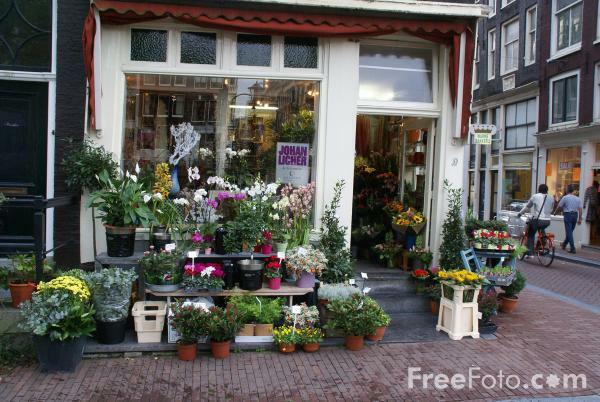 Picture of a Flower Shop in Amsterdam, the capital of the Netherlands. It is the largest city in Holland. The canals define Amsterdam's layout with many fine houses and mansions situated along the canals.